Hi! I am new to this board and glad I found such a great resource of Shakuhachi info. I just started learning how to play the shakuhachi 4 months ago (@_@). I have a teacher that I meet every Saturday. I am studying under the Tozan ryu school. 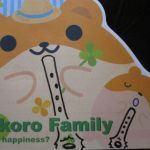 I don't really have much of a music background other than playing the alto sax in middle school ^^; I am really interested in the shakuhachi and I look forward to every afternoon practice. I am from Miami, Florida and currently living in Kagoshima. I am currently learning how to play 八千代　by 中尾　and I have learned so far 雨 by 山本邦山 and 三段の調 which I am performing in March with my teacher and a friend. I am no pro or anything ^^; still a beginner and learning a lot. I hope that when I go back to Miami I can play with other shakuhachi players. My teacher wants to teach me 木枯 as my first Honkyoku (@_@). He said I might be able to play it after one year...I look at the music sheet and I can't even play after the first measure lol. Anyways, I'm glad that I joined the forums and look forward to meeting other people and players. Nice to hear from someone learning Tozan in Japan. I am sure there will be scope for lots of exchange! 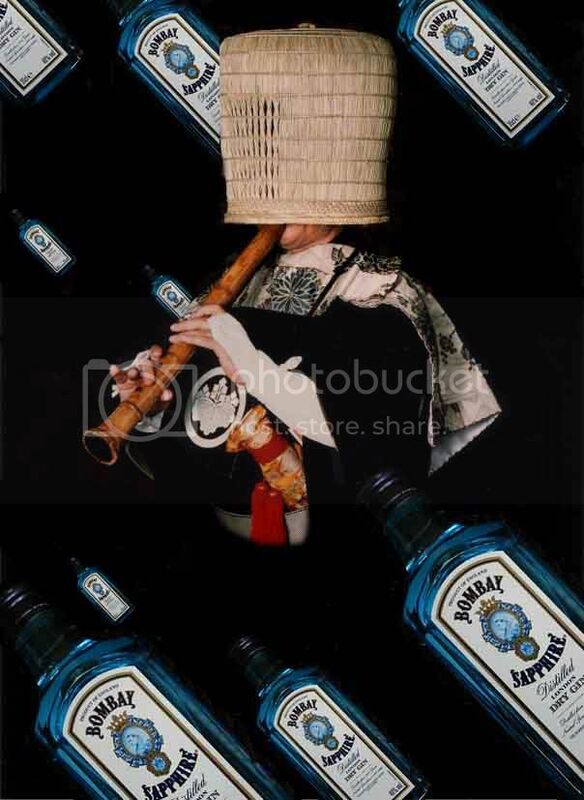 So, enjoy the long road of shakuhachi leaning! It is FUN! Looking forward for more posts from you! Welcome to the forum! I live in Tokyo. If you are passing through, you are welcome to come to visit. I am also due to visit Kagoshima one of these days. One thing you might like to know, if you don't already, is that "honkyoku" as it will be commonly used here on the forum has a different meaning to it's use in Tozan-ryu. In Tozan-ryu it refers to the (relatively recent) compositions of Nakao Tozan, where as for the older schools of shakuhachi, honkyoku refers to the solo repertoire of the Fuke sect, mostly from the Edo period but also some pieces composed in the same genre since then. I thought to let you know to save you any unnecessary confusion! Good luck with your studies, and enjoy your time there in Kagoshima! Welcome to the forum Jc! You are meeting with a teacher first thing. Good for you! It will save you many mistakes that self taught players have to unlearn later. Welcome to the BBQ! I have friends in Kagoshima, by all accounts a very nice part of the world. I hope you keep up your studies. Ame is a lovely piece, to be able to play that well after 4 months is good progress indeed! Welcome JcHeero84. I'm just a hop and a skip from you in Kumamoto. If you are planning a trip to this part of Kyushu, make sure to let me know. Welcome from the Pacific NW of the US!! Thanks for the warm welcoming everyone. @ Justin - Thank you for the explanation about honkyoku. I guess most of the songs I have belong to the kinko schools, makes sense now since I mentioned the other day to my teacher Honshirabe and he didn't know what song I was talking about. He was told me it was most likely a song from the Kinko ryu. Haha silly me. Oh, I was in Tokyo in January but only for 2 days then I had to come back to kagoshima for work. I did happen to have time to drop by the Shakuhachi store called meijiro. I wish I had bought the 3 CDs that have all the tozan ryu honkyoku. If I do happen to pass by Tokyo, I'll make sure to drop ya a message. @Taldaran - haha! yeah I agree with you about having a teacher. He has corrected me so many times about little habits I need to fix or they can be problems later on. @ Jam - Yeah! Ame is such a lovely piece of music. I can play it well if I go at a slower pace but nothing like the original haha. Can't compete with yamamoto houzan. Silly me! I knew I should have written those titles in romanji too! I will do it next time ^^;; Kagoshima is a great place to live and the food is wonderful! Let me know if you come visit Kago. @jeff - wow! You live next door!! I was in Kumamoto maybe a few months ago, but I want to visit kumamoto again because it has so many awesome onsens and delicious food. I'll make sure to let you know if I happen to drop by in Kumamoto. Hon Shirabe is a Seien-ryu piece (Fudaiji temple), made popular since being incorporated into Taizan-ryu. Although it is not played in Kinko-ryu, some Kinko-ryu players will know it. It's the most popular/common non-Kinko honkyoku, and is commonly played at honkyoku gatherings where many different schools may be present. Oh I thought of another word which might be useful for you. We sometimes refer to the original honkyoku as "koten honkyoku", then you can know for sure it is the Fuke sect's music being talked about, and not Tozan-ryu or Ueda-ryu or other modern-genre compositions. Hope you're not too cold down there. We had a few days of snow here in Tokyo but the weather was great today. Justin, snowy weather IS good weather!! Looks nice! The thing about Japanese houses is, although they adopted the appearance of Western architecture, they left out some rather important aspects, namely central heating and insulation! I'm also rather looking forward to being able to play shakuhachi outside again without my fingers freezing! I miss the warm wood fires I grew up with! Welcome to the forum. I'm also not so far away, in Kochi, Shikoku. If you ever get over this way drop me a line. I mostly play Kinko pieces but sometimes play with Tozan players here in town (and usually end up rewriting the pieces in Kinko notation!). There is one fellow from Miami, Fla. in Kochi, who runs a cozy little bar attached to Kochi's famed food/beer market Hirome Ichiba and who is quite good at his work. On my first visit there just a month ago I had a martini called a Martian Sunrise, of which one part was Tairaku's recommended Bombay Sapphire.
. On my first visit there just a month ago I had a martini called a Martian Sunrise, of which one part was Tairaku's recommended Bombay Sapphire. @Tairaku - hahaha Tairaku! love the pic!! @ Justin - omg! tell me about it! the lack of central heating and insulation! I bought this winter, one of those kerosene heater because my house was getting too cold for me at night and practicing was very difficult. I sometimes think it is colder in my house than my refrigerator. I can't wait till spring comes!! @Daniel - Thanks for the welcome! Yeah! I've been meaning to hit up shikoku during my stay in Japan. I hear udon is really good over there! I love udon haha. Wow! that is very cool that someone from Miami is running a bar. I'll make sure to let you know when I come visit and we can play together and go visit that little bar. I still have a lot to learn when it comes to playing the shakuhachi ^^;; but it is nice that you can meet up with other players and play with them. Hey Brian that looks like my teacher, Fujiyoshi Etsuzan! In fact he does like gin, on the rocks. Not sure about that fancy blue stuff though - still never tried it! JcHeero84, I know what you mean - I've got a wooly hat on while I'm typing this! Udon...the adjoining prefecture of Kagawa is quite famous for that but Kochi has excellent ramen and lots of late night ramen tents, places where people of Tosa (the old name for Kochi) often go after a night out on the town in order to prevent the occurrence of hangover the next day.